For stickers, decals and signs. For printed goods such as stickers, you need a clear online proof tool. LiveArt shares its experience and expertise in providing best online design solutions, specifically tailored for sign or decal design businesses. Supporting many shapes and configurations, online decal designer or custom wall quote designer, based on LiveArt HTML5, is capable of solving any production issues you might have. Contact us for your custom project quote or purchase complete source code package to customize or whitelabel your designer. Stickylife offers vast variety of promotional and printable products. Utilizing a number of tools, such as sticker designer, vinyl lettering designer, button designer, key chain designer and such, it allows customers to be creative either with premade templates or huge selection of colors and sizes. 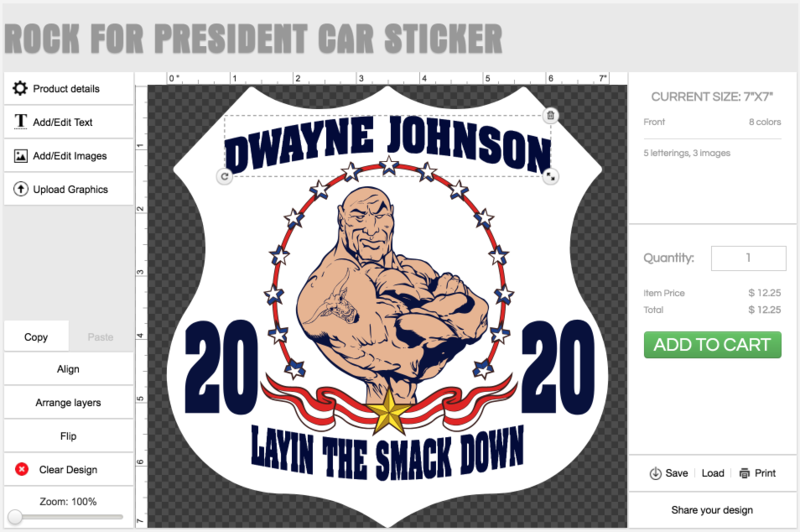 DecalDriveway provides unique online service by allowing their customers design their own vehicle stickers and decals. Powered with customized version of LiveArt Sign Online Decal Designer, DecalDriveway streamlined their production process while keeping it as easy as possible for customers. StampStore Custom Stickers manufactures custom stickers, decals and labels. Online Sticker Designer made by LiveArt provides easy way to put in the company name, logo or message on almost any surface. On site, you can create perfect solution from a large range of stickers in any shape or size.